This exciting live Indian Jazz Band blends traditional melodies of North India with contemporary Jazz and Latin grooves. The acoustic improvisation of sounds is a mix of guitar, saxophone, clarinet, flute and Indian harmonium which is rhythmically enhanced with subtle tabla beats. It is a highly dynamic set-up which is guaranteed to bring flair and a touch of class to your occasion. 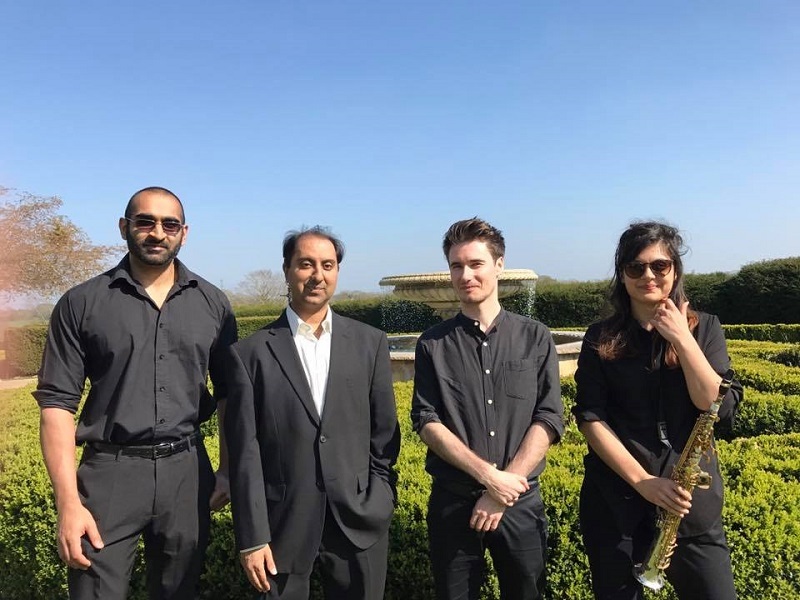 These Indian Jazz Musicians are extremely talented and professional and perform a versatile repertoire that includes entirely unique Indian Jazz and popular Bollywood classics of up to 3 hours. 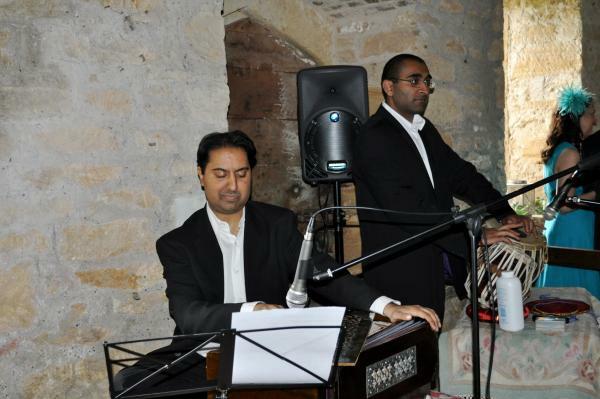 With corporate and private clients, excellent reviews and a wide range of music, this Indian Jazz Band is guaranteed to impress on any occasion. This Indian Jazz band was set-up in 2004 with the objective of developing a sound that would create a unique ambient listening experience. 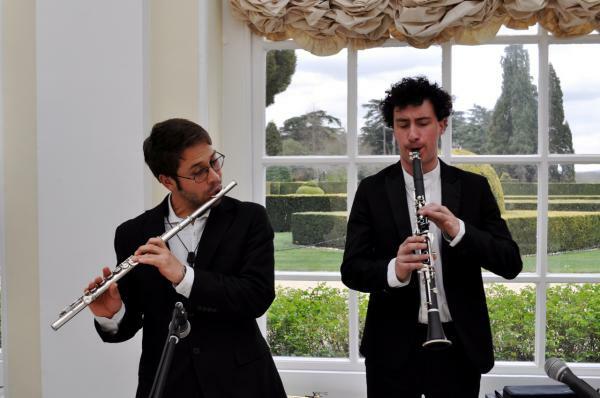 Since then, they have performed at several corporate events, weddings, private functions and well-known live venues. 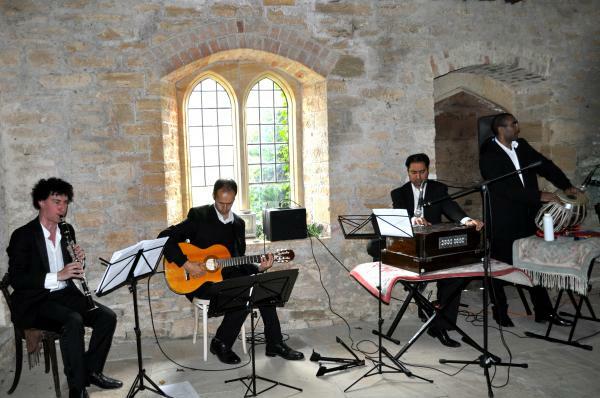 For a relaxed reception or to create a really cool backdrop, this Indian Jazz Band is the perfect music solution. Nirakar can perform 2 x 45 minute sets or 3 x 30 minute sets. Nirakar can also provide their own PA system. I want to send a big thank you to you and your band for playing at our launch party. It was perfect for the evening! Everyone I talked to really enjoyed the music. Thank you for providing the perfect backdrop at the registry and garden party at my wedding. 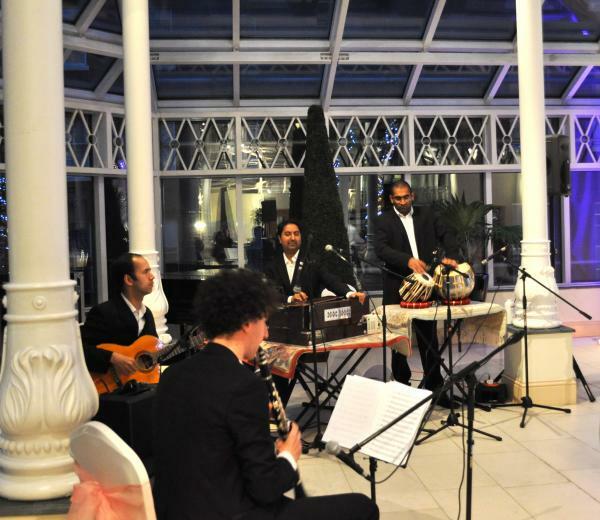 All our guests were extremely impressed with the Bollywood Jazz-Fusion music and your unique set-up. I would be happy to recommend you to anyone requiring a high-class professional band on their special occasion. Thank you so much for the wonderful music that you and your band organised at the pre-reception drinks at my wedding function. Your music was delivered with professionalism and style and our guests thoroughly appreciated it. 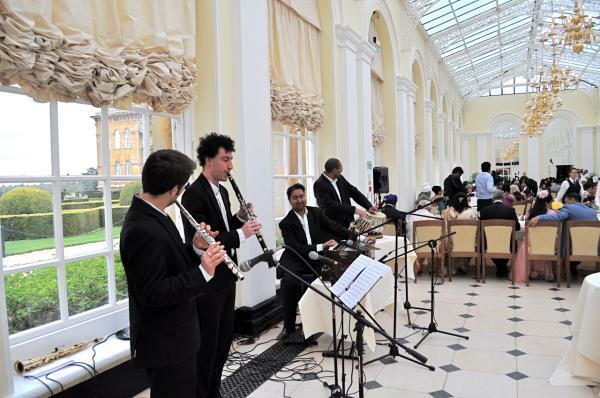 I asked Nirakar to play at our annual dinner function at the Inner Temple in March 2008. Their 1 hour set was dynamic and extremely well received by our enthralled guests and I would not hesitate in calling them again. Nirakar provided an excellent backdrop of music during the pre-reception cocktail function at our wedding. Our guests found the combination of Eastern and Western music unusual and refreshing and I would recommend hiring them to anyone for their wedding or other special event.